Private jet charters in Houston available worldwide with instant access to private jets near you. 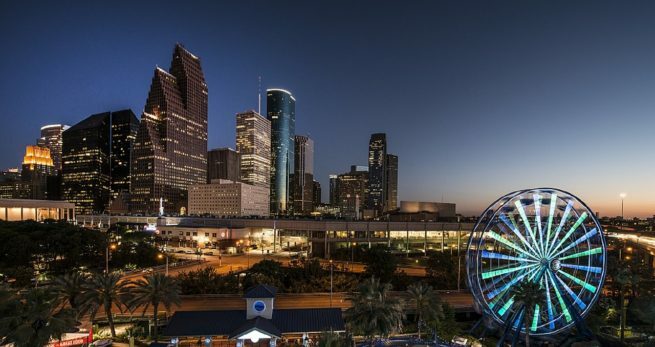 Houston is a major hub of industry in the American South, home to one of the busiest commercial airports in the country, and a popular destination for private and business aviation in the Lone Star State of Texas. Chartering a private jet to Houston allows clients to bypass commercial air traffic and take advantage of airports focused primarily on private and general aviation. Clients using our Houston jet charter service can arrive at a variety of local airports, allowing business and leisure travelers to land closer to their destination while potentially saving on their jet charter cost. Our company offers the highest standards in executive and leisure air travel, arranging private jet charter service to/from Houston and surrounding areas of Texas. Our Houston Air Charter Advisors have access to thousands of private planes located in Texas and around the world, from Hawkers, Pipers, Cessnas and LearJets to Challengers, Globals, Falcons, and Gulfstreams. Wyvern Wingman/ARGUS Platinum aircraft available when needed, and our Wyvern-certified brokers utilize safety standards and due diligence processes found in Fortune 100 flight departments. Regional and VIP airliners can also be arranged for corporate group charter, sports teams, air cargo charters, special events and more. Need to quickly travel to business meetings on the other side of Houston? Private helicopters can also be chartered to transport executives within minutes. Luxury ground transportation can also be arranged to bring you straight from the tarmac to your meeting, hotel, or preferred destination. Enjoy the convenience and peace of mind you gain working with a private jet company you can trust, and Air Charter Advisors will become your private aviation solution for private air travel, aircraft acquisitions, and private jet management in Houston, Texas. Call us at 1-888-987-5387 for a free charter quote on your private flight. 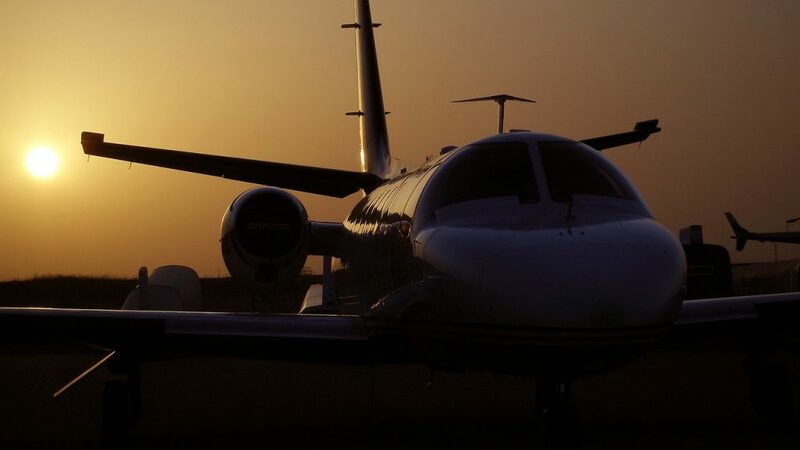 From bespoke jet charter and last minute flights to jet card and fractional ownership programs, consider us your source for all your private aviation needs in Houston. Clients flying private to the Houston area typically arrive at either (HOU) William P. Hobby, (SGR) Sugarland Regional, or (TME) Houston Executive, the most popular private jet hubs in the area; if you’re connecting to a commercial flight, you can arrive directly at (IAH) George Bush Intercontinental. There are several airports located within 50 miles for your private flight — find more information on our Houston private jet airports page. Air Charter Advisors is here to become your private aviation solution not only in Houston, but anywhere in the world. We specialize in private air charter service for executive teams, elected officials, celebrities/VIPs and leisure travelers across the United States. Charter a luxury private jet and enjoy the benefits of private aviation: charter flights to Houston provide increased security and discretion, allowing CEOs and elected officials to travel without distractions or worries. Private flights to Houston also allow you to create your own schedule and travel to thousands of airports commercial service can’t utilize, including several airports focused on general & private aviation in the Houston area. Clients can quickly arrive/depart using a private terminals with luxury travel services offered by on-site FBOs, and your personal Air Charter Advisor will be standing-by 24/7 to assist you with any requirements you may have, from arranging gourmet in-flight catering, chartering a helicopter of yacht, making last minute changes to your flight, or adding additional legs to your trip. The Lone Star State beckons thousands of yearly visitors with its exhaustive supply of daytime fun and nightly diversions. Private Jet travelers will find some of the world’s most extensive art and history galleries open every day for their perusal. A day in the Morian Hall of Paleontology or the Hall of Ancient Egypt in the Museum of Natural Science will reaffirm your relationship with the past and inspire leisure travelers. After that you can head downtown and imbibe some of Houston’s finest spirits. Stop by the new and very popular Anvil Bar & Refuge; hearkening back to early 1900’s cocktail culture, the Anvil treats cocktail creation like an art in itself. And while these nostalgic cocktail bars are waxing in popularity, there are still plenty of dive, luxury, and sports bars throughout the city. Houston also has an intensely popular sports team in the Texans. Stop by one of the aforementioned sports bars on a Sunday and watch a game with the fans, or head to the imposing NRG Stadium and get the visceral and unadulterated experience among thousands of others. 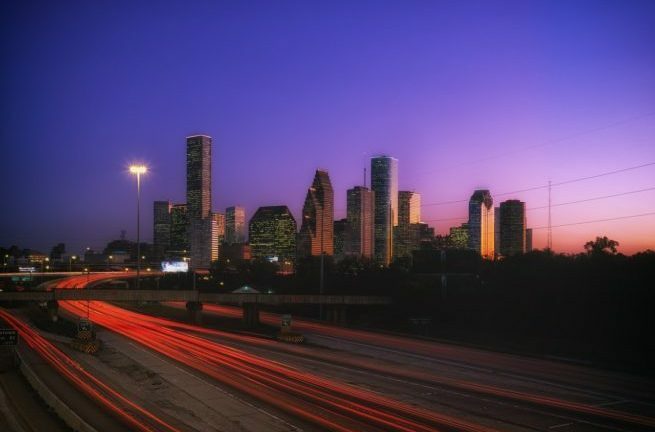 Whether you’re visiting for business or for pleasure, check out our list of recommendations after your private flight to Houston, Texas. 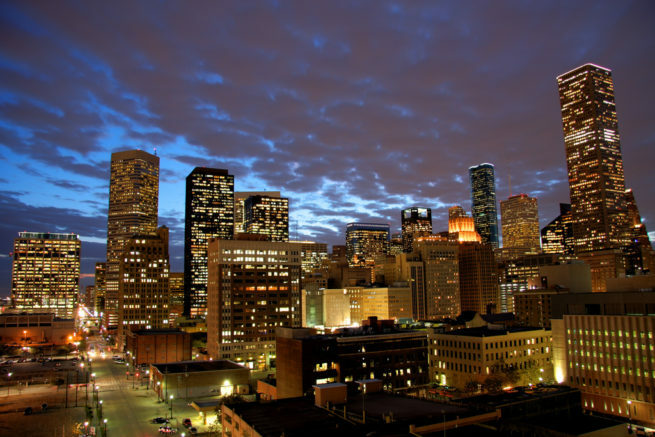 Houston is the fourth largest city in the United States and encompasses an area almost twice as large as its three closest competitors. With more Fortune 500 companies based there than any other city in America, Space City’s economic weight cannot be understated. Its status on the world stage as a leader in oil and natural gas only adds to it’s imposing influence, and all of this makes it an exceedingly popular destination for private jet travelers. With several private aviation hubs, landing here puts jet travelers conveniently close to the bustling downtown and business districts. Air Charter Advisors can arrange a business jet charter for your executive team, review the current market for possible empty-leg flights to Houston, and we can create a supplemental lift program for corporate flight departments and their fleet of business jets. We only work with Wyvern-certified aircraft and pilot with a ton of experience in the plane you’re chartering – we never use a couple of kids fresh out of flight school to save on charter costs. It’s our attention to detail and dedication to providing the most transparent experience possible that separate us from other charter companies. By going the extra mile, we endow our clients with a sense of security seldom found elsewhere. Read on for more information about how our private jet charter service can make your business or pleasure trip the best one yet. The colloquialism “everything is bigger in Texas” holds especially true in Houston. With an enormous population of slightly over two million people, the city stands tall among the other heavy hitters in global economics like New York and San Francisco. 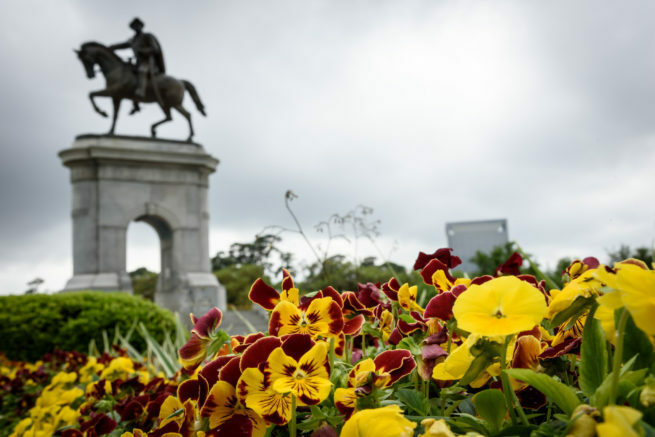 The Texas Medical Center, NASA’s mission control center, and a bevy of corporate headquarters have put Texas up there as one of the most visited cities in the United States. 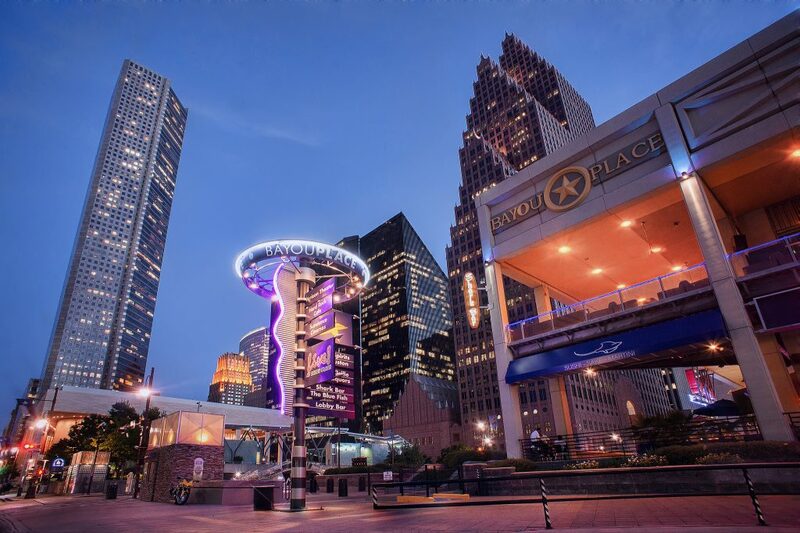 Investors saw this opportunity early and poured millions into Houston’s hotel industry in order to accommodate these visiting professionals. Now, private jet travelers can spend their nights at award-winning four and five star hotels in just about any district. The Four Seasons Hotel, Hotel Granduca, and The Inn at Dos Brisas offer some of the most decadently furnished rooms, highest standards in service, and most comprehensive amenities lists found anywhere. Aside from these world-class hotels, H-Town is home to a plethora of other choices ranging from classic luxury to chic and quirky boutique. ACA is not limited by fleet size – we work to get you the best deal on one of thousands of Wyvern-certified aircraft available for your private flight. Every jet & turbo-prop we utilize for charter service is operated by FAR Part 135 or 121 (or foreign equivalent) air carriers, flown by veteran pilots and never recent flight school grads. Our team will provide you with a variety of aircraft options based on your goals, allowing you to charter a cost-effective aircraft such as a Piltaus PC12 or a Cessna Grand Caravan, or luxurious, stylish corporate jets including a Gulfstream G650 or a Dassault Falcon 7x. Check out our Aircraft Gallery for more details on all of the aircraft we have access to — if you don’t see your preferred aircraft listed below, speak to one of our brokers and they will locate one for you. Request a Quote or give us a call at 1-888-987-5387 to speak with our Houston private jet charter brokers. Whether you’re flying private for a luxury vacation, business trip, or special event in Houston, Texas, we can locate the right plane at the right price for your flight, offering outstanding deals with some of the most competitive rates at this level of private jet travel.